Like many of you, I can’t believe how fast this year has flown by. It seems like only yesterday I was crashing to pull together the very first FAQ City episode, with little-to-no idea of how it would all turn out. Since then, our audience has grown a lot (more than 58,000 podcast downloads so far … wow!) and the questions people send in continue to fascinate and intrigue. Who knew Charlotte had so many fun quirks that needed exploring? Of course, our work here is nowhere near finished. If you’re a curious person with an unanswered question about Charlotte, get in touch with us via the submission box below. We’re always looking for that next great question. I look forward to seeing what questions 2019 brings. Why Is Downtown Charlotte Called 'Uptown'? Sam Bethea, a.k.a. the "Jesus Saves" guy, can be heard proclaiming his message nearly three city blocks away. Who Is The Jesus Saves Guy In Uptown? 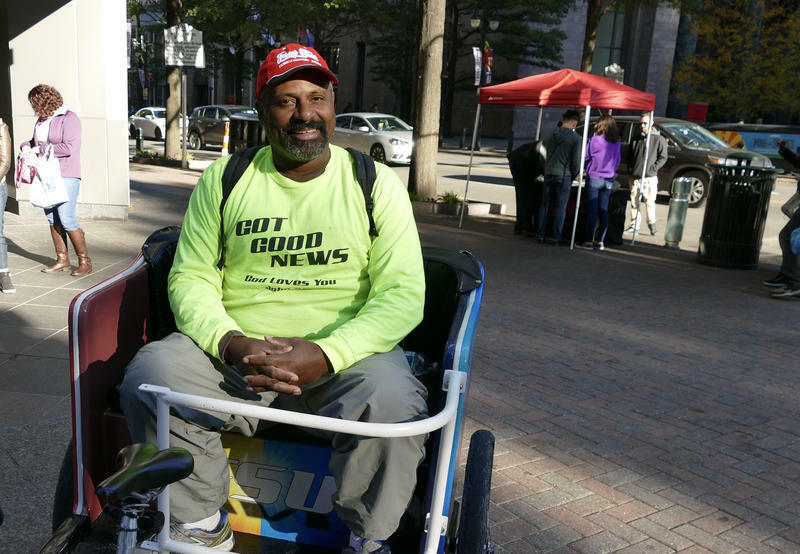 The "Jesus Saves Guy" is a common sound (and sight) in uptown Charlotte. “His voice is amazingly loud, and he's always cheerful,” our FAQ City question asker said. She wasn’t the only one curious about his story. What Is The History Of The 'Poo Tracks' In South Charlotte? What’s Up With The Abandoned Cars On Charlotte's Highways? “We've driven down to Florida and we go all the way up to Ottawa, Canada, fairly frequently, and neither of us has noticed quite so many [abandoned] cars as when we hit Charlotte,” said an FAQ City listener. What Lies Beneath Lake Norman? 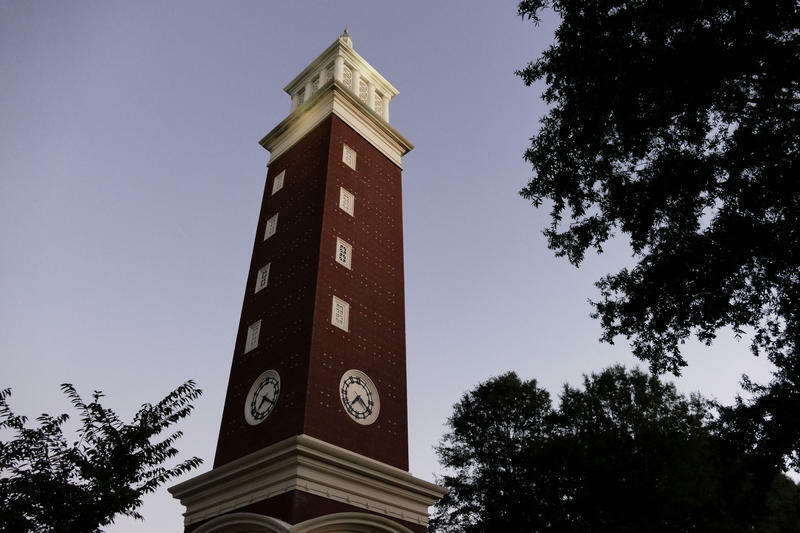 According to some students and longtime faculty at Queens University, several buildings on the historic campus in Charlotte's Myers Park neighborhood are said to have resident spirits. Does Charlotte Have Local Ghosts? Is The City Haunted By The Supernatural? What Happened To All Of The People Who Were Displaced When The Public Housing Units Were Torn Down Around The City? Is It Sugar Creek Or Sugaw Creek Or Sugaree Creek? Sounds like 2019 might be a gold mine for even more questions (and answers). Missed one of these episodes? Make sure to subscribe to the FAQ City podcast and give it a rating/review on your podcast app of choice. As we cap off 2018, WFAE’s staff members share their most memorable moments and stories of the year. Find each of our Best of 2018 posts here.